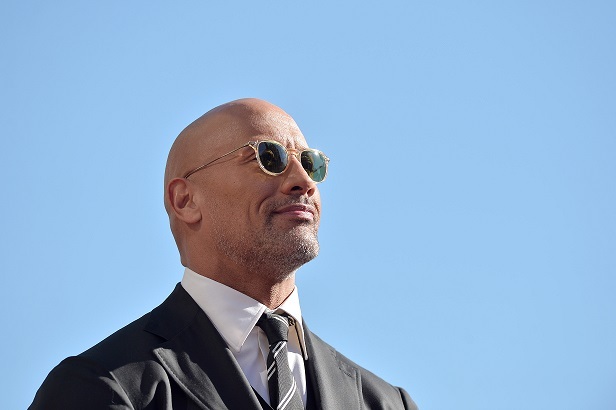 Let’s face it, not everyone can rock the bald look, not everyone can look smooth like Dwayne Johnson or Samuel L. Jackson if they have no hair, and feelings of insecurity is unavoidable once a person starts losing their hair. Because of this many people spend thousands of dollars looking for a cure, some have tried almost every shampoo and ointment advertised just to get their hair back to no avail. But up until this point science has not figured out a way to really bring natural looking hair back. But because of diligent scientists and researchers, we finally have a cure to baldness. Yes, a cure that will allow the hair to grow back naturally, without the fuss and fake promises from advertisers. There are now different ways to regrow the hair, and people now have choices. This is how advanced science has become. Clinics like FGAAA ( Feeling Good At Any Age The One-Stop Rejuvenation Center) in California, with CEO Lou Baron, has announced the emergence of new technologies that will soon be offered for people who want to get their natural hair back. Scientists now understand how to reverse the process of gradually growing bald and even went as far as learning how to successfully regrow hair on wounded skin. There are a number of reasons why men and women begin to lose their hair, androgenetic alopecia can be caused by trauma, dermatologic diseases, system diseases, and even extreme stress. For Lourdes Duque Baron the CEO of FGAAA this was the case. After losing her son Gregg, she faced immense stress and struggle that caused her to experience hair loss, this has affected her self-esteem and emotional well being. One’s appearance plays a huge role in the workplace and interpersonal relationships and losing her lovely hair had a great impact. Because of what happened to her, she was inspired to find a cure that is not only for medical purposes- but also to find a cure that will be life changing in the process. Hair Transplant surgery has increased in popularity over the years and for a good reason. The results are already natural looking and remarkable. While hair surgeons are still facing numerous challenges for creating optimal results, like donor hair availability and hair survival the results are still amazing and better than any other solution available to man. The introduction of Follicular units and follicular unit transplantation ushered in the modern hair replacement era. The increased knowledge of scientists about hairline esthetics and androgenetic hair loss gave physicians better ability in coming up with natural ways to grow hair. Some surgeons experienced problems with hair transplant methods, which were then corrected by the use of Platelet-rich Plasma or PRP. PRP is now used by clinics to enhance wound healing during the hair transplant process. PRP happens when a small amount of the patient’s blood is taken, and using a centrifuge spun down to create a layer of concentrated platelets which would then be injected into the donor wound area. Clinics in California like FGAAA ( Feeling Good At Any Age The One-Stop Rejuvenation Center) use PRP to improve the healing process of cosmetic procedures that they are offering. Scientists and medical researchers improve their craft each year, in the hopes of completely solving the problem for baldness artificial intelligence have also been tapped. Some of the latest innovations to hair restoration surgery include the use of robots. Hair transplantation is not an easy process and is also time-consuming for surgeons but with the help of robotic technology, the process becomes seamless and faster. The success rate of hair transplant is high, it could go as high as 98 percent, for as long as the procedure is done inside a legitimate clinic. Make sure to get a successful board-certified cosmetic surgeon before trying to undergo this process and learn more before signing up. You can book an initial evaluation with http://FGAAA Clinic ( Feeling Good At Any Age- The One Stop Rejuvenation Center). FGAAA Clinic is considered one of the best stem cell clinics in California.